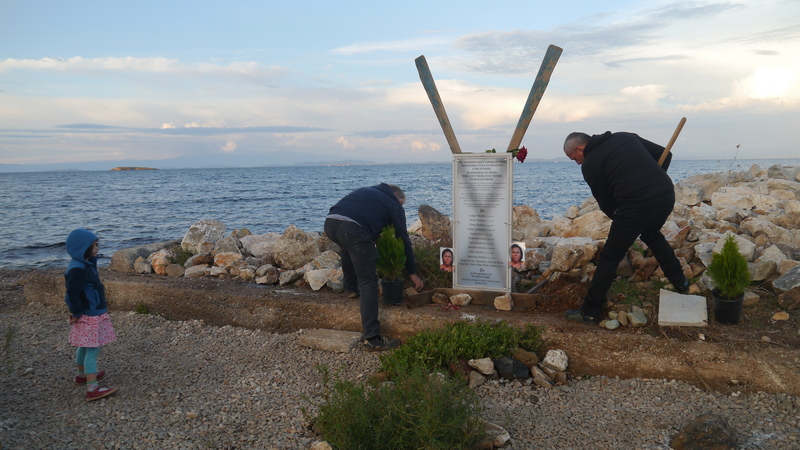 Today in the afternoon more then 50 people gathered in the harbour of Thermi/Lesvos in commemoration of the dead of the European border regime. Among them were survivors of a shipwreck on 23rd of April of this year in the North of Lesvos as well as people active in rescue. 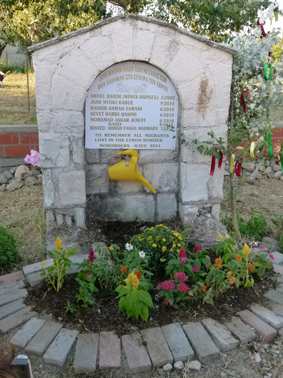 The memorial happens once every year since October 2013 and was initiated by the Welcome to Europe network. When we started to remember this year, who we have to mourn for, we realized that we are more and more confronted with death even after people have survived the sea. We had to commemorate today also friend who died last winter in the hot-spot of Moria, because they had been left during winter in terrible conditions. We are in close contacts with families that they waited too long to be reunited with their beloved even if they had the right for family reunification and died before. If you really want to mourn the dead of the Sea, you have to respect also the survivors. The only solution to end their suffering is to create safe passages, to give the people their right to move freely – and for those who are stuck here to finally open the islands. This is why every memorial for us is combined with the promise to tear down the borders that killed them and to create another, a welcoming Europe. This year the memorial plate was renewed and fixed. We thank to: the local club of the fishermen ΝΕΣΕΑΛΘ “ΠΟΣΕΙΔΩΝ“, Stellios from the shipyard in Kontouroudia, metal work Gianis Moisis, Chrisanthos, Alcalica-ALM eV, Simos and Web copy shop. 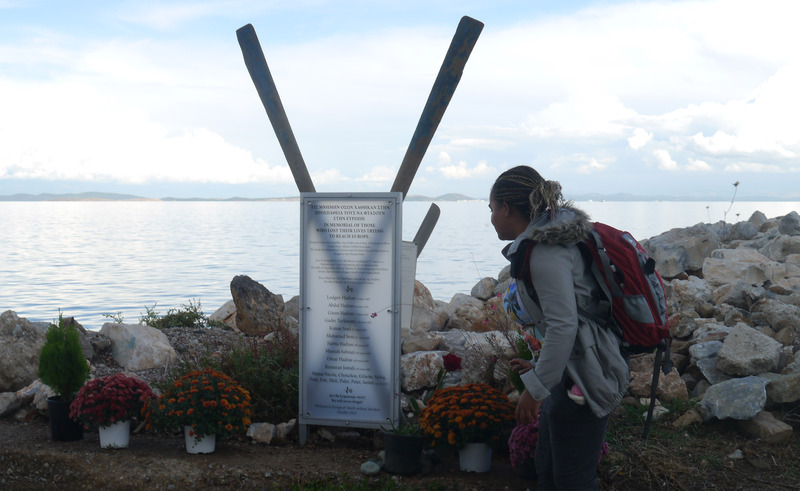 We came together today here in the harbour of Thermi for remembering the dead of the European border regime. Today we came here together with Joelle, Sylvie and Victoria. They survived when a boat was sinking in the North of this island on 23rd of April this year. Joelle and Sylvie asked themselves where the others disappeared when they drifted for many hours in the Sea until they where finally rescued. 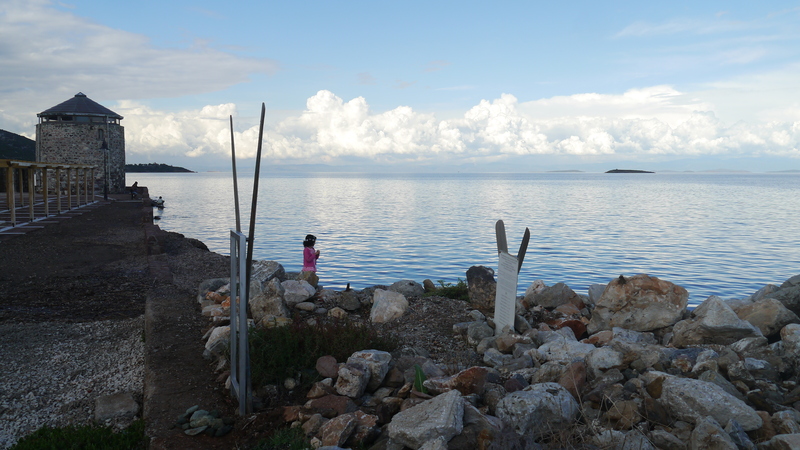 Only one month later Victoria was born here in Mitilini – and she reminds us, that life continues. Since we started to remember here in Thermi in 2013 every year we had to come back. Every year the death by the border regime continued. Every year we came and we renewed the promise not to give up until the killing stops. It did not stop – even if many of us tried hard. This year until today more then 2.600 people have been killed in the Mediterranean Sea again. Also this year we have been in touch with many people who survived shipwrecks – as well as people who give us testimonies of death in the deserts even before people reach the sea. We are here together with people who went again and again to the beaches. Who went with boats at the Sea to rescue. Who started an Alarm Phone hotline for boat people. Who just went to the sea for fishing and became rescuers and who had to take the dead bodies from the sea. Who held the relatives and friends of the drowned after they discovered the loss. Who shared parts of the way with the survivors. All of us did not close our eyes. We remember and don’t forget. We all feel ashamed in the moment of these deaths because we failed in our attempt to stop this murderous regime and to create a welcoming Europe. This year we have to remember not only the death at Sea. Ever since the closure of the Balkan Corridor on March 8th 2016 and the implementation of the dirty EU-Turkey Deal in March 20th inhuman conditions for refugees in Greece have caused death both in the EU-funded so-called hotspots on the Aegean Islands as well as in the newly established emergency reception sites all over the mainland. While almost a million refugees had crossed through Greece and over the Balkans in 2015 and not few of them even got a protection status in countries of the European North, their relatives got caught up in limbo trying to survive in tents, without access to doctors, lawyers and under deplorable conditions. Thousands of families with small kids, slept on the mere floor and had no access to sufficient and clean toilettes, showers, warm water or eatable food for months. When winter came the situation escalated and in January 2017 the tragedy peaked in a dozen of deaths all connected to the harsh weather conditions and the lack of proper heating in the makeshift and provisory housing people in hot-spot Moria or else were forced to stay. They died on November 24th, 2016 after a portable cooking gas stove exploded inside a tent, setting on fire parts of the Moria hotspot on the island of Lesvos in Greece. The 30-year-old mother of the child, and her other 4-year-old child, (the family are Syrian Kurds) were seriously injured with third degree burns to about 55% of their bodies and were transferred to Athens for medical treatment. 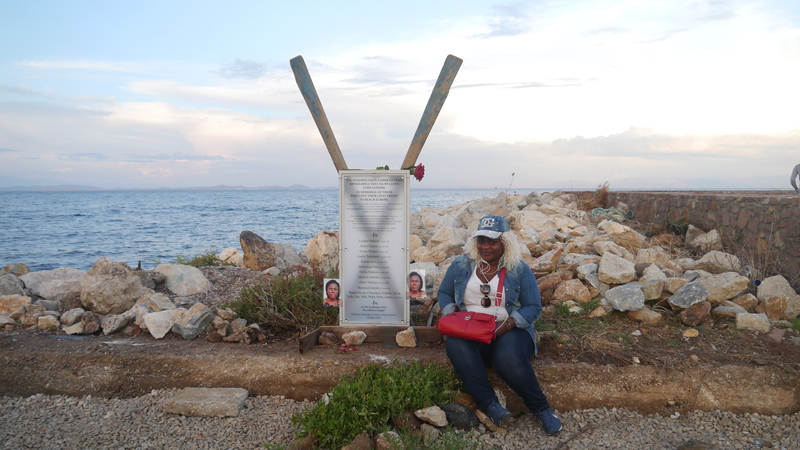 – We remember the 29-year-old refugee who tragically lost his life in Chios after putting fire on himself in March 2017. – We remember a 22-year-old Egyptian man. He died on Tuesday, January 24th, 2017 in a tent at Moria in his sleep. The day after, on January 25th, a 41-year-old Iraqi man was found dead at the Samos hotspot. On January 28th, a 45-year old Syrian father of six children, died in the same tent at Moria where the Egyptian had died four days earlier. On Monday, January 30th, a 20-year-old Pakistani man lost his life, again at Moria, and an Afghan man was transferred to an intensive care unit in a critical condition and remained in a life-threatening condition for several days. – We remember a 5-year-old child that died in a tent in Moria, she was seriously sick and the last she saw from this world was a hot spot made to detere people. – We remember also the man who died last Saturday during the riots in Moria after having a heart-stroke. At the mainland, refugees lost their lives on the highways next to their camps in traffics accidents, they got severe injuries from the makeshift heating they tried to use in order not to freeze in their tents, and dozens lost their lives when the ambulances arrived to late in the marginalized camps. We remember our friends, whose lives got lost after they had managed to escape war, after they risked death when crossing one border after the other clandestinely, and after finally reaching Europe. – We remember Ismail from Syria, who died from cancer in Skaramangas camp before being able to join his son in Sweden. – We remember 2-months-old Noursan from Syria, who passed away on the way from Ritsona camp to the hospital. – We remember one-year-old Safa from Syria who was enduring in Athens childrens hospital after more than 10 months in Katsikas camp in Northern Greece in order to get the permit to leave the Germany for the so much needed heart transplant. Both German and Greek authorities did not react fast enough to let her join her family. In the end her father and the three other sisters and brothers moved to Germany to her mother and other sisters and brothers leaving her small body back in a graveyard in Athens. – We remember also the 57-year-old husband of Fatima from Syria, who passed away in Filipiada camp after a heart attack. His wife and daughter were forced to wait seven more months to join their two sons in Germany in order to be able and grief for their father and husband together. – We remember 7-year-old Nourian from Syria, who drowned in Skaramangas the days his father finally could come from Germany and visit him and his mom after months apart. Lets not forget also our friends who stayed with us in City Plaza and with whom we shared not only a home and food but also a common struggle for a better world. – We remember Hamid from Afghanistan, who drowned in Athens while waiting for months to reunite with his daughter in Switzerland. He left his beloved wife Feruza, two daughters and a son back. He stayed for months in Elliniko camp where he would always return even after moving to Plaza in order to visit friends and help cleaning the areal in front of the camp. – We remember 62-year-old Fatima, the mother of Mustafa and Selah, from Syria, who passed away shortly before they were scheduled to join their family in France through relocation. Here and today, we want to stop for a moment and create a space for all those who lost their lives. Remembering here means to save the stories of the uncounted who died at the borders of Europe. They died in the desert, in the sea, they died even at the deadly inner-european borders. They had been on the way to change their lives on their own. Their death is the death in search for freedom. And that concerns all of us. There would be many more names and many more stories. We will never forget all of them and we will today remember especially the friends of Joelle and Sylvie. We will remember them because all of them they have families, they have friends they left behind – who cannot be here with us, because these borders even separate them now. Maman Nicole – she lives! We promise to give our best to tear down the borders that killed them. We invite you to have a rest in memory of them – and then to move on: to tear down the borders and to build another, a welcoming Europe. Since Sunday night, 5th of August, the tanker “Salamis”, whose crew rescued 102 boatpeople is blocked on open sea by Maltese maritime forces. The refugees came in distress while fleeing via Libya in direction of Europe. Since more than 34 hours the ship is blocked and the situation on board is getting more and more precarious – especially because all the 102 passengers are in agony of being pushed back to Libya. It is a shame, it is injustice. A few weeks before the pope during his visit in Lampedusa demanded for a break of the global indifference towards boatpeople in the Mediterranean Sea. At the same time, the inhuman policy of illegal push-backs continues: Maltese as well as Italian authorities blackmail a civil ship and its honest crew to transport back the asylum-seekers into a country, they just fled from: to the port of Tripoli. „I was 3 months in Libya. Half time I was in prison, half time I was hidden, before I could leave with the boat. Libya was a hell for us.“ this quotation from an Eritrean refugee, whom we met in Lampedusa in the mid of July 2013, is not an exceptional experience. Rather it reflects the daily conditions of most transit-refugees in Libya today. Arbitrary detention and racist attacks instead of protection is the reality of refugees in Libya still. Italian and Maltese authorities execute the logic of externalisation of EU-politics against refugees and migrants. The war against migrants in the Mediterranean is a daily and bitter reality. The closest safe port would be Malta. It would be very easy to welcome the refugees there. It would be simple to give them a laissez-passer to find their way to another safe place in Europe – a simple way to share the responsibility. Europe should welcome them with all their skills and stories they carry, a simple and the only answer to the tragedies by wars and economical disasters often enough caused also by the economic interests of the European governments. We express our solidarity with the crew of Salamis! We know very well from our own experience how hard it is to see people suffering senselessly. We know very well the fear of refugees to be pushed back to Libya We can imagine how it feels if you are stopped and threatened by the authorities in the attempt to rescue. We feel with you stuck in the waters close to Malta. We hope you will not forget that there is another part of the European society that wishes to welcome you and your passengers and help you to overcome the tragic experiences of these days. We support the statement of Maltese NGOs to criticise their government to block the ship. We feel the weakness of just sending a declaration and so we want to combine it with a promise: we will join hands in the struggle against the senseless killing in the Mediterranean. We will continue until it is stopped! We condemn the inhuman policy of denying access to the asylum system for the refugees. We will continue protesting against our own governments – also those in the heart of Europe. We want them to take responsibility and to offer those who reached Malta a possibility to settle in other European countries if they wish. We demand immediate protection. We wish the crew and the passengers of Salamis strongly to reach a safe port – because Freedom of Movement should be everybody’s right! Since November 2012 more than 100 Afghan refugees have been protesting against the social conditions and the lacking reception system for refugees in Hungary. Already twice they went in front of the Hungarian parliament. Another demonstration took place in in front of the EU House in Budapest. Most of the protestors have been granted protection by the Hungarian government. Nevertheless, they are threatened by homelessness and extreme poverty. Through their protests, they could at least achieve not to be thrown out of the camp in the hardest wintertime, but their problems are only postponed. In March 2013 their time in the reception centre ran out and at the moment they are only tolerated in the camp. If they are kicked out like a lot of others before, most of them will end up on the street – among them many families with little children. The refugees’ demands are simple and understandable: they just ask for a fair chance to participate in the society that they are living in. They don’t want to end up homeless, jobless and without access to the health system. They demand to get just the same as everyone else in Hungary. We declare our solidarity with these families in Bicske, who found the courage to protest in front of the Hungarian parliament in Budapest. We feel connected to this struggle. Welcome to Europe is a network of activists, who have teamed up in the fight against the inhuman European refugee policy. Some of us had just stepped out of a boat on a Greek island when we first met. Others had come to these outer borders of Europe to denounce the hunting of human beings by the European Border Agency “Frontex” and to welcome those arriving. We have friends amongst us who have been facing the situation in Hungarian prisons and struggle against their deportation to Hungary. In the last months refugees’ protests rise in several European cities: protest camps have been build up in Amsterdam and Den Haag (Netherlands), Berlin (Germany) and Vienna (Austria). Everywhere they have different backgrounds and therefore their demands are also different. Sometimes they concentrate more on abolishing the deportation system. Sometimes it is more about the lacking asylum system, sometimes about reception. All of these protests have also something in common: refugees are no longer silent. They stand up for their rights. They make clear: we are already amongst you. We will become a part of the European society. The refugees in Budapest give us hope to continue with the struggle in other places as well. We wish you to be successful – because every step that is taken by you will bring us closer to another, a welcoming Europe. Published on April 12, 2012 in border deaths, Deportation, Detention, Evros, ferres, fylakio, migration policy, police violence, readmission agreements, Repression, soufli, struggles and resistance, Syndicated, Turkey and venna. Closed Tags: fortress europe, greece, infomobile, killing borders, report. Published on February 16, 2012 in Athens, economic crisis, homelessness, social rights and Syndicated. Closed Tags: greece. 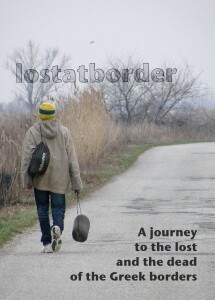 Published on January 16, 2012 in border deaths, distress at sea, downloads, Evros, patra and Syndicated. Closed Tags: greece, killing borders, report. 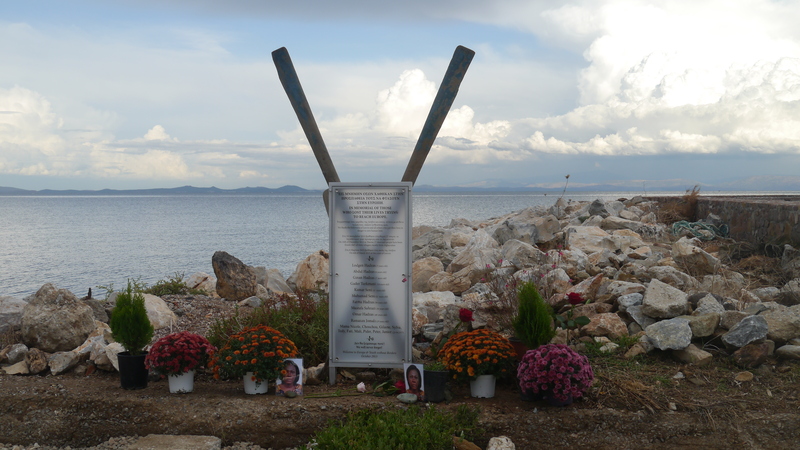 LOST AT BORDER reports on the reality of loss and death at the Greek borders. As a close friend of ours said once: “If you are a refugee and you die nobody asks any questions. But for living somewhere, everybody is questioning you!” We want to break the silence and ask: What happened with all these people whose traces got lost? Accidents and death at border belong unfortunately to the daily experiences of refugees trying to reach a safe haven. The European Border Control Agency FRONTEX in co-operation with national authorities are heightening and thickening the fences and walls around us, controlling and patrolling the borders and externalizing them to European neighbour states such as Turkey, Morocco, Tunisia a.o. They have created treaties of co-operation in deportations and huge refugee detention camps at the gates of Europe. Trying to cross a number of borders, among them the ones of Fortress Europe is a huge risk of death! The numbers are shocking: more than 2.000 people died in the Mediterranean Sea only in 2011. Each single person left behind a big gap in the life of relatives and friends. LOST AT BORDER gives the voice mainly to refugees searching and mourning for their beloved. The report was made by a group of antiracist activists from different countries who have been already involved in the search of migrants who got lost at the border between Greece and Turkey. It can be quite difficult to find information on what has happened when somebody is missing at the border. Apart from the report we want to help and fill this information gap by a new Blog. We want to connect the relatives and friends of border victims to each other and we want to let you know and feel that you are not alone on this journey! We will never forget. We promise to overcome the murderous border regime and to continue our struggle for a welcoming Europe. 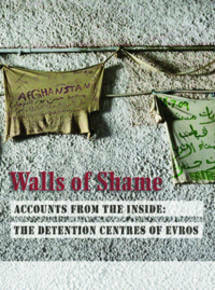 Published on December 1, 2011 in Deportation, Dublin II, Germany, News and Worldwide. 1 Comment Tags: asylum, Deportation, dublin II, germany, greece. The German Ministry of Interior informed in a letter that deportations to Greece under the Dublin II Regulation will be suspended for another year. The letter states that despite initial changes in the treatment of asylum seekers in Greece the asylum system still does not comply with European standards. The moratorium is valid until 12th of January 2013. John is missing Jen. Jen got lost when she tried to cross the border to Greece. Maybe she drowned in Evros, the river between Turkey and Greece. 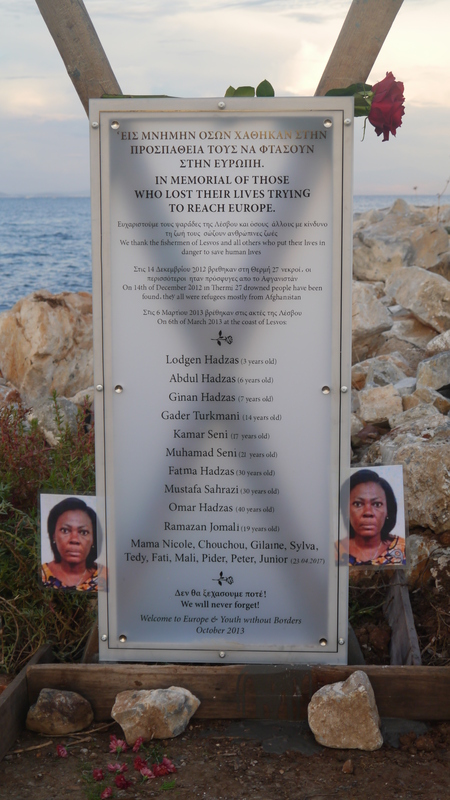 We will mourn Jen and all the refugees that died during the attempt to overcome Fortress Europe on the 30th of August 2011 in Evros. We want to give back a piece of dignity, to those whose death disappeared – right here – into the senselessness of the European borders. And we will gather for giving back a piece of dignity to those who survived. We will create a memorial space. What is the colour you like the best? Interesting! I have various colours that I do like for different purposes. More particularly I like various colours that form different forms of flowers because my wife has been a florist over the years. She likes flowers ,she plants flowers, on valentine days I was making lots o fun back at home: I would just move out on the side of the house she had the best flower and I would cut some for her and she would get very mad: oh my flower! And I would ask her: why? This is your flower; I have brought it for you. I was making a lot of fun with her, with our best flowers. So that’s why basically why I like different colours. Amin survived and is now living in an accomodation for minor refugees in Hessen, Germany. But he had to experience the meaningless death of 20 persons by drowning, because firstly entry and afterwards their rescue has been refused: 20 more victims of a merciless european border regime, which obviously is calculating with the death of refugees. More than 2.000 refugees and migrants died in the Mediterranean Sea within the last 6 months, mainly when they tried to reach Malta or Italy from Libya or Tunesia. Dead bodies in the Mediterranean Sea are washed ashore daily. Besides the bodies also their faces, hopes and dreams are lost. These daily deaths, be it at the external or internal European borders, remain shocking. The victims are warning and accusing: This Europe is not safe, human rights and refugee rights have lost all relevance! They ask the ones alive to take action against this Europe of Frontex – borders and walls. And to struggle and to invent a Europe of solidarity, overcoming the deathly migration regime as it happened in history with the dark sides of the Middle Ages. I first tried to flee Greece in January 2011. In Athens, they put us in one truck with 200 persons. Beforehand, they told us that the truck would have air conditioning. It had not and so we ran out of oxygen soon with so many people. Soon many people fell unconscious. We started knocking the boards and screaming for help, but the driver did not react. One person had decided not to enter the truck before and we had his mobile number, so we called him to come and open the door for us, because we where not far yet. He did not come quickly, so we had no other chance and we called the police. They picked us from the truck and kept us for one night in police station.